What is the process to apply for Canada PR from Dubai? 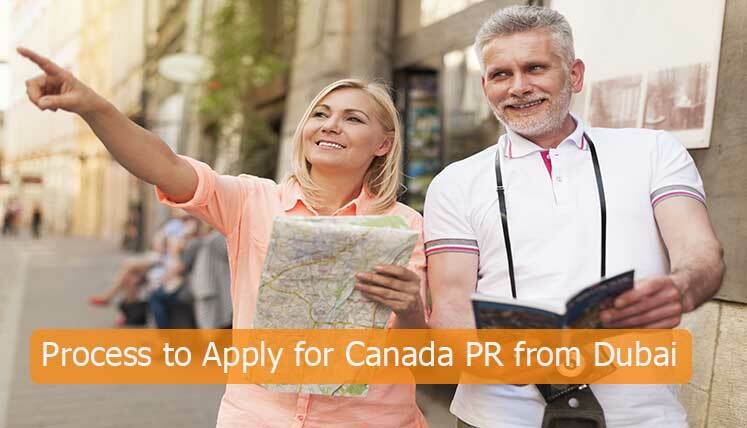 Canadian PR visa is one of the most popular visa categories in the world. The people looking for higher wages, liberal society, multiple professional opportunities high standard of living and quality of life, often look to move to Canada through a proper immigration pathway. The immigration applicants in Dubai are no exception when it comes to the craze of Canadian Permanent residency. The Dubai residents every year apply Canadian PR in huge numbers. When we talk about the proper immigration pathway Federal express entry system of Canada is the best and fastest one available. It was launched by IRCC in 2015. Since then, it has been the primary choice of immigration applicants willing to settle in Canada. What makes Express Entry best pathway to obtain Canada PR? Express entry is the point based online system that evaluates the profile of the applicants and accordingly allocates them points based on age, education, work experience, language ability, etc. It has three main categories, i.e. If you applying for Canada PR from Dubai through express entry system, you need to choose and apply under Federal Skilled Worker (FSW) Category and acquire minimum 67 points based on age, education, work experience, language skills, etc. The second Points criteria are scoring high enough point score based on Comprehensive Ranking System (CRS). If your point score in CRS is not high enough, you will have to wait for ITA from IRCC for a long time. Let’s explore and understand the stepwise process to apply in express entry and obtain the PR visa. Also read– How to Move to Canada from Dubai? Acquire the necessary documents to create a profile in express entry system, i.e. ECA (Educational Credential Assessment) from WES. You will enter in express entry pool of candidates and will get a CRS (Comprehensive Ranking System) score. IRCC will launch a draw every fortnight to select the top ranking profiles in the express entry. If your profile is selected you will get Invitation to Apply (ITA) for Canada PR visa from IRCC (Immigration Refugees and Citizenship Canada). It is always good to apply for Canadian visa under the expert guidance. Visas Avenue Immigration is top and trusted Visa and Immigration Consultancy Company for Canada immigration and Permanent Residency Process. The VA team has got the incredible record in terms of acquiring visa approvals for its clients. Its success rate in this regard is outstanding. You may call Visas Avenue Immigration Expert on Toll-Free Number- 78-18-000-777. Alternatively, e-mail your queries to Visas Avenue e-mail id- info@visasavenue.com.